Save $1 when you purchase both a Vinaigrette & a Seasoning together. Get 1 Large (32oz Sweet Balsamic Vinaigrette and 1 Savory All-Purpose Seasoning) for $1 off. 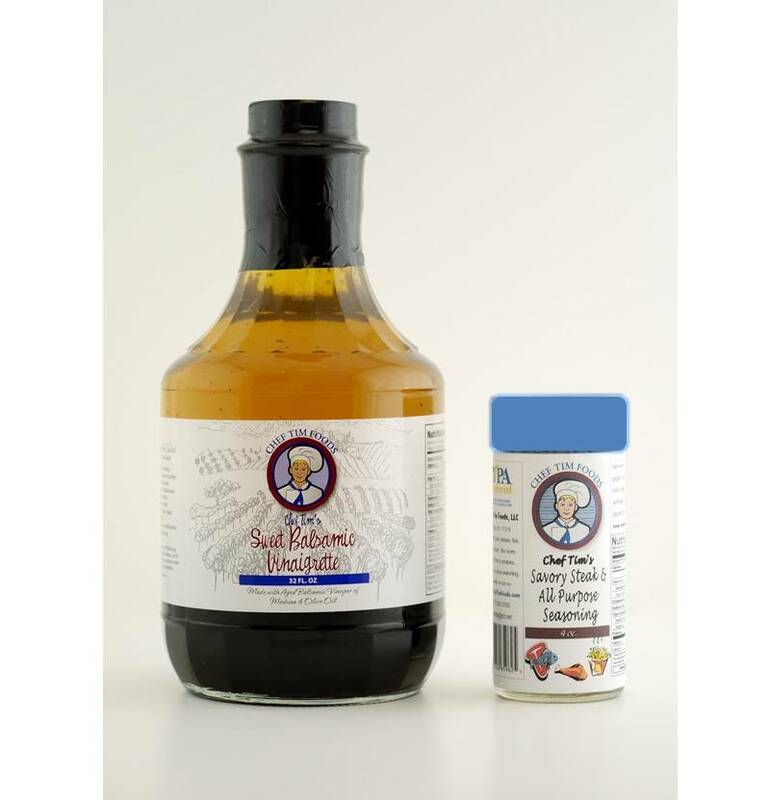 Chef Tim's Savory All Purpose Seasoning - A delightful blend of spices for beef, pork, veal & lamb, including roasts, steaks, chops, loins, fillets, and burgers. Also great on roasted potatoes, fries, pizza, vegetables and soups. "Anything that walked, swam flew or grew."